One of the nicest things about summer in Edmonton is the abundance of produce that shows up every year. These gorgeous jalapeño peppers (along with more beans) literally showed up on my doorstep last week. These are Andrea's, and were kindly dropped off at my door, late at night, by another friend, Addie. Yes, we live exciting lives around here. I've been meaning to make jalapeño pickles forever, and I love small batch preserving. But for whatever reason, I just never found enough time, or the fresh peppers. When Andrea asked if I wanted some of her fresh ones, I leapt at the chance. Thanks to fresh carrots from my own garden, I finally got the opportunity to make these escabeche style pickles I've been craving for so long. Escabeche can refer to many different types of dishes, but the common thread holding all of them together is that they are usually marinated in an acidic mixture. 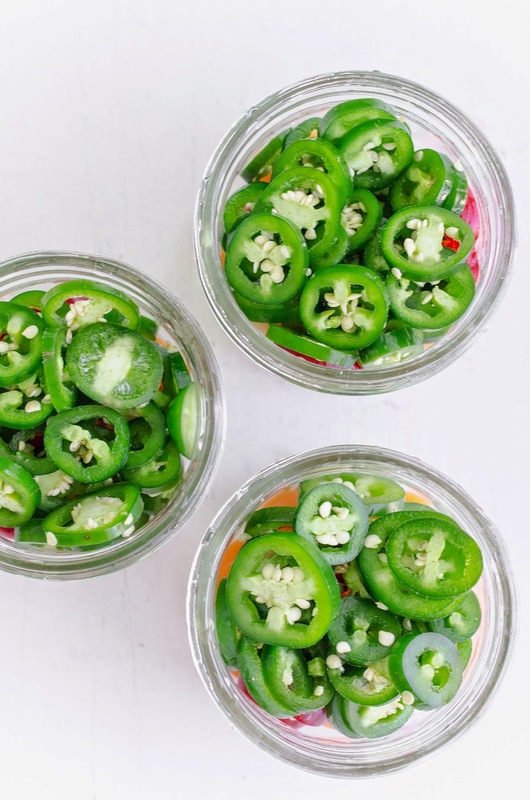 These jalapeño pickles are a simple, classic take on this style of cooking. I played around with the flavours a little, as I didn't want to spend too much time on them - I mean, the sun is shining and I definitely don't want to spend more time indoors than I have to - so the recipe I used, from 'Preserving Made Easy' is one of the simplest I could find. I added a few of my own touches to the pickle, as I also wanted to use some of the baby carrots from Kay's garden. I skipped the onions and spices, as I figured the jalapeños and carrots - all fresh and full of flavour - would hold their own in this pickle. I added a bruised garlic clove... because everything tastes better with garlic, of course. When making the vinegar base for this pickle, I usually salt it to taste. So if you do try this recipe out, start by adding the salt and sugar a little at a time, and keep tasting until the mixture tastes the way you want it to. I also don't bother sterilising my jars for this particular pickle (I do sterilise for other canning), preferring to wash them in hot, soapy water just before using, but feel free to follow your own style here. I also process my pickles for 15 minutes, as I live at quite a high altitude, but you can have a look here and calculate your processing times. Trim and slice the jalapeño peppers into slices. Wash and peel the carrots, then slice them into thin slices. Bruise the garlic cloves, keeping them whole. Wash three 250 ml canning jars in hot, soapy water and let dry. I don't normally do this for vinegar based canning, but you can also sterilise the jars by placing them in boiling water, until ready to use. Place the lids in hot (not boiling water) and keep rings aside. Place the vinegars, salt and sugar in a non-reactive saucepan, and bring to the boil. 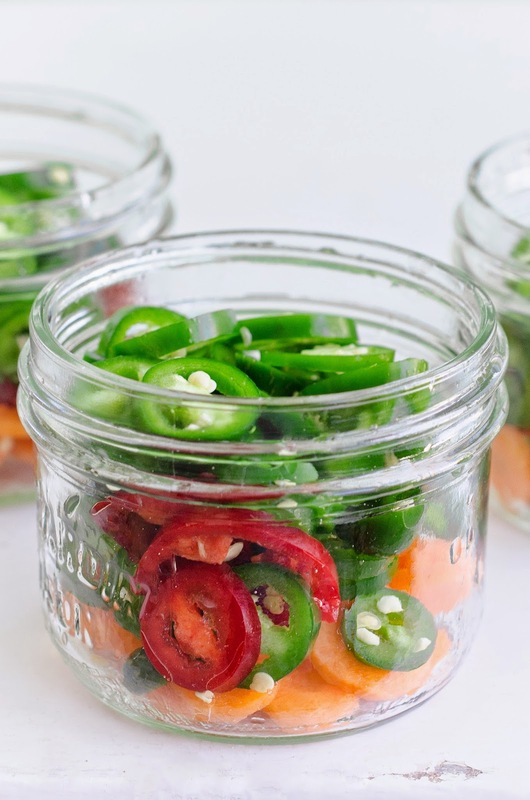 Divide the peppers and carrots evenly between the three jars, and add a clove of garlic to each jar. Carefully pour over the boiling vinegars, until the peppers are covered, to within 1/4 inch of the rim. Using a lid lifter, place the lids on top, and screw rings on to fingertip tight. Carefully lift jars from boiling water, and place on an even surface for about 24 hours, until sealed and cool. Store in a cool, dark place. This is absolutely gorgeous. I can't even get over how pretty this is. I'd want to just stare at them and not eat them. But then I'd cave and eat the whole jar. It's how I roll. Pickling is a wonderful way to enjoy the harvest. Last year, I had an over-abundance of yellow bush beans and my mother and I pickled them with slices of red pepper, garlic and dill. They were a hit with the whole family. 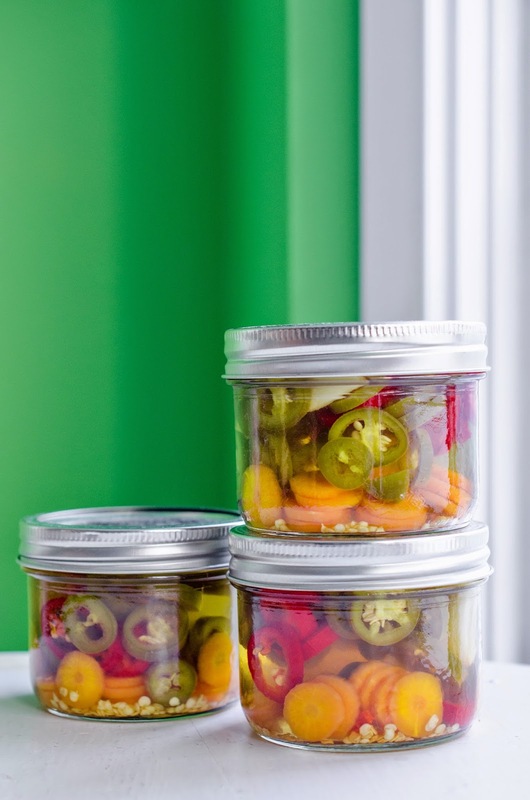 Your jalapeño pickles look wonderful! Oooh, your beans sound delicious Teresa. That's how I do mine too, minus the dill, but have to do them that way now. I like using them in Caesars instead of the celery. Yes, these look simply marvellous and so colourful! I will be scouting out the Green & Gold Gardens this Tuesday night to get some canning on next weekend. Thanks so much Tess. It was wonderful to meet you yesterday, and I look forward to getting to know you better. Your biscuits were simply divine, I actually woke up thinking about them this am. Everything DOES taste better with garlic my friend!! haha - I have some habaneros in the fridge right now that need doing but I'm slightly afeared of them. I might make it down to the market this week and pick up some slightly less violent peppers to pickle. They'd make fabulous cocktail garnishes! Haha, I wouldn't pickle habaneros for sure... you're wise there m'dear :) Jalapenos now, are a different story. What is a nacho without a good pickled jalapeno, I ask. I have camped out in it for some 14 hours! 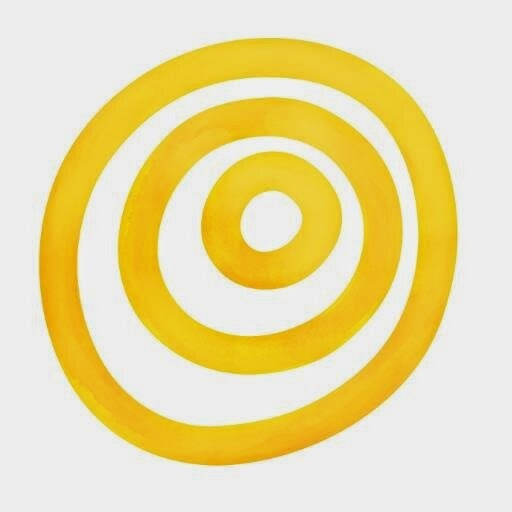 Your writing is brilliant and i love your recipees. Finding this Jalapeño Pickles was the cream on top. BTW - No way does your Baked Bean Recipe come even close to Heinz in the U.K. But anyway, a big big thank you, you have taught me sooo much... a great read too! Wishing you and yours all of the best.